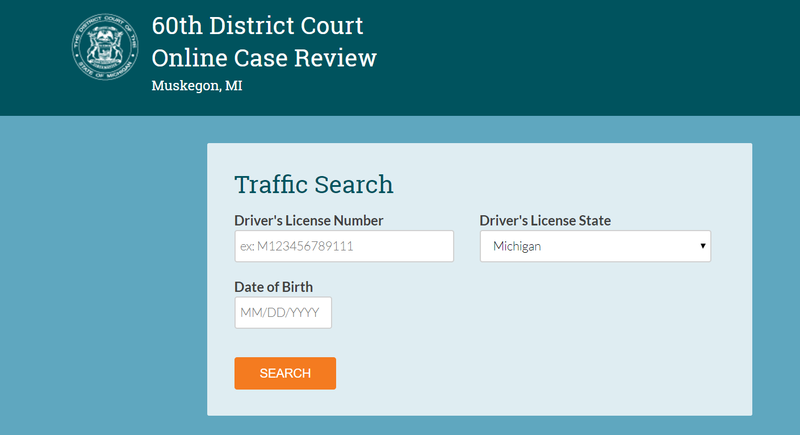 City of Muskegon drivers who have received civil infraction traffic tickets will no longer have to stand in line at the 60th District Court to resolve the violations; instead, they can use a newly debuted online system, court officials recently announced. The 60th District Court launched the new online pilot program as an effort to more easily connect individuals charged with civil traffic infractions—such as speeding or running red lights—with resolutions to their cases. The new program, called “Matterhorn,” allows drivers to access their cases through the 60th District Court’s website, including to provide information about circumstances surrounding the ticket—such as why they believe they shouldn’t have to pay the fine. As part of the program, law enforcement officers are able to review the driver’s case and offer recommendations. After the driver and police weigh in, a magistrate determines the next steps, including assessing fines that a litigant can pay online. Throughout the process, the individual with the ticket receives emails and text messages updating them on the status of their case. 60th District Court Administrator Patrick A. Finnegan hopes the new online system will make resolving a traffic violation a less stressful and time intensive process. Currently, only those who have received a traffic ticket from the City of Muskegon Police Department are eligible to participate in the online program, but Finnegan said he expects the initiative to expand. Designed by Court Innovations Inc., an Ann Arbor-based software company that originated in the University of Michigan Law School, the Matterhorn program is used by 27 district courts across Michigan. East Lansing, for example, uses the program—which a Muskegon judge ended up utilizing after receiving an unexpected parking ticket. Instead, two weeks later, the judge received notice of a parking citation. Since quietly rolling out the initiative in January, the court has reviewed 21 cases through the new online system, and, as word spreads about the program, the number of people accessing the platform is increasing, Finnegan said. There’s now about one request a day that comes in through the Matterhorn program. As the program continues, Finnegan said he’d encourage individuals to connect with their local police departments if they’d want them to use the new initiative.